Are you a Disney villain in relationships? Or maybe an introverted, monotone Square Enix hero? Want to learn what you can do (or not do) to improve your relationships? Then this is the blog for you! 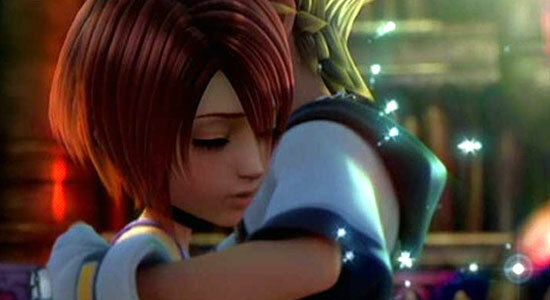 Let’s look at what Kingdom Hearts tells us about what it takes to be a couple. Whether it’s opening up to your loved one or simply not taking a hit out on one another, Kingdom Hearts has some great tips for would-be lovers. This week for our guest blog, our very own Sakuchan interviews the organizers of the latest Kingdom Hearts speed-run featured by the Speedgamers. Over the holidays, this ambitiously motivated group of talented gamers spent 72 hours tackling all of the Kingdom Hearts games (that’s 7 in total) that had been released as of December. Brit LaRivière (founder of Speedgamers) and Ruju tells us about their experiences and we learn more about the game series they have planned for the next speed-run! The Speedgamers, based in Texas, is a group of 23 dedicated young people who come together in the name of gaming glory to raise money for charity by quickly finishing all games of a selected series in a very short amount of time. They have been immensely successful with their charitable ventures, which have included speedruns of series such as Zelda, Pokémon, Resident Evil and Kingdom Hearts.
? ?ME ??U? O?N K???D?? ?? ?R?S ??M? Don’t panic! We’ve not broken the website or anything. Click ‘Read More’ for details..
KH BBS/Days/Re:coded Soundtrack is OUT! The long-awaited 3-disc compilation to the 3-game Kingdom Hearts compilation has finally been released!